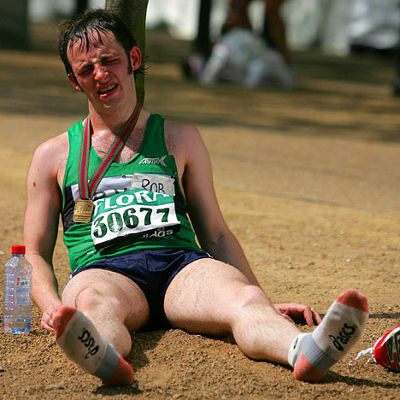 Someone can have a heatstroke from exposure to high temperatures and it is most often combined with dehydration. 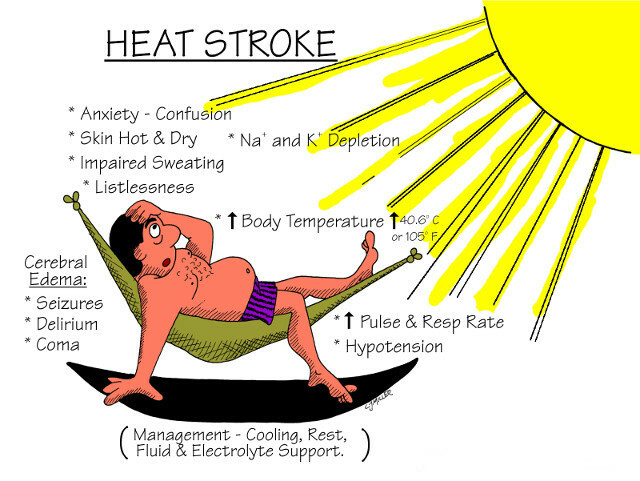 The medical definition of heatstroke is when the core temperature of the human body is greater than 105 degrees Fahrenheit. When someone has extremely hot, dry and red skin, it could be signs of a heatstroke. If skin is hot to the touch and a person’s internal body temperature has risen to 105 degrees Fahrenheit or higher, it is a condition which requires emergency medical attention. In addition to having a core temperature higher than 105 degrees Fahrenheit, people with heatstroke will experience dizziness and fainting. If someone has spent a great deal of time in the sun and experiences these symptoms, it is very important to drink a lot of fluids for rehydration. Experiencing nausea is another sign to watch out for. Being constantly nauseous, in combination with dizziness, can mean your condition is worse than originally believed. Consuming a lot of fluids will help to treat the nausea and it is recommended to find shelter under the shade. Having a nauseous feeling is one thing. If someone’s nausea has progressed into vomiting, it is a definite sign of heatstroke and emergency medical attention is a must. It is important to try to rehydrate the body with electrolytes and water as soon as possible. Being in the heat all day long can be physically draining to anybody. However, if a person is experiencing other symptoms on this list, accompanied by extreme fatigue, it can be a sign of heatstroke. It is always best when a person exhibits the signs of a heatstroke to seek medical help, because it can prevent the condition from becoming worse.